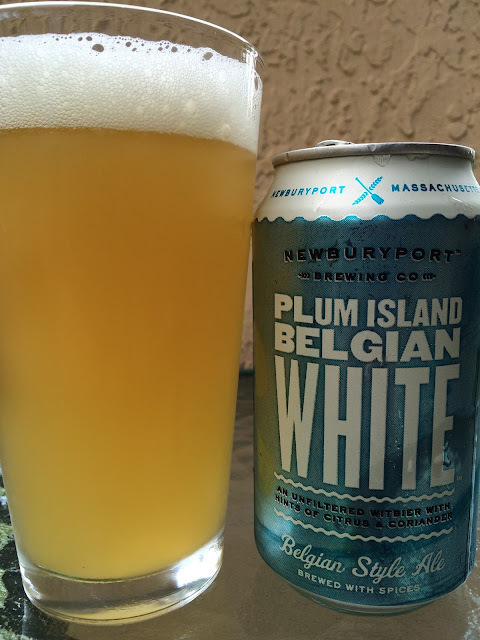 I really enjoyed Newburyport Brewing's Melt Away Session IPA so I moved on to a can of their Plum Island Belgian White, a Belgian-style ale brewed with coriander and citrus. Blue can. 5.4% alcohol. Nice aroma, wheaty, spicy coriander and citrus. Full of flavor from the start! Tons of wheat with a nice tangy zing. That was complemented by coriander and orange perfectly, not overdone in any way. Chewy texture--the citrus rind really cuts into that for an interesting balance. If I had one wish, it would be to cut the sweetness just a little. 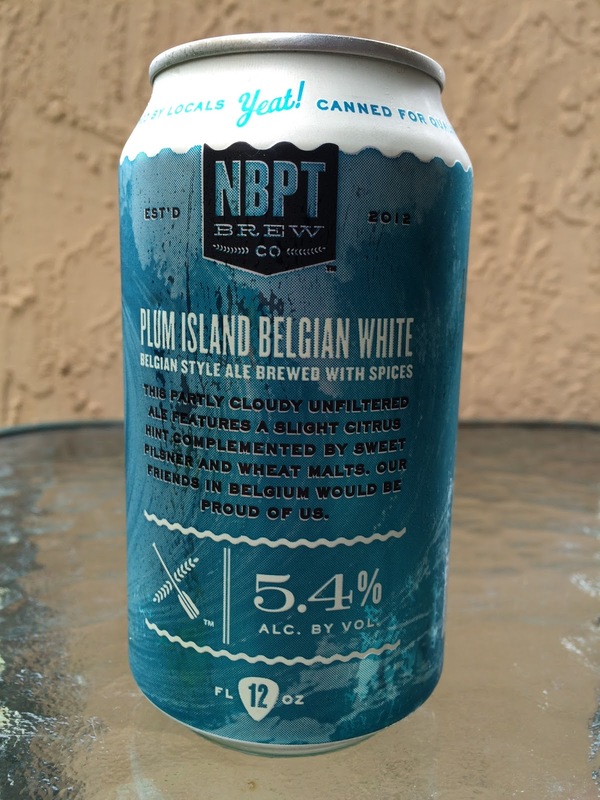 But overall, a nice beer with lots of flavor that lingers after every sip!